Total Project Opportunity in INDIA = 4500 talukas x 20 MW solar PV /taluka = 90,000 MW i.e 90 GW (refer my article in Energetica INDIA). But, India has plans to add only 20 GW till 2020, hence, this kind of shared business model with funding and secured business and financial models to offer low cost solutions through state government for the federal autonomy to create large number of jobs and also to increase Agriculture GDP, hence, this approach to team work to create large number of small entrepreneurs in their local taluka place. Those who have access to Indian State government to realize on this new solar PV project development and also in Middle East, Africa, South East Asia. a). Assume that with the present Capital Subsidy and Accelerated Depreciation policy, a total of 4000 MW of Biomass or Solar PV Power Projects are executed in INDIA till date. Assume the Project cost of Rs. 6.5 Cr/ MW. So, the Total money invested with 4000 MW Biomass or Solar PV with present policy = 4000 x 6.5 cr/MW = Rs. 26,000 Crores. Kindly take note that i had written about this Solar PV Generator on Industry roof top in ENERGY BLITZ which was Published in NOV 2012, and we welcome such Decision. All other States shall go for such schemes to compel industries to generate and release the day power for other activities. Solar PV system inverter + battery? First of all we must realize the benefits of an INFINITE GRID. Battery + inverter system does not provide these benefits. Let the battery/inverter system is retained for emergencies and for short duration. As such I suggest thinking of systems without battery. Technology is evolving fast to make it possible to run the system with just 80%, if not 100%, share of solar/wind power. Let us bank on R&D for the purpose. We need to have a good Bank Finance system (like Car Finance) in place to make things happen in Home solar PV systems. Solar PV prices are showing signs of firming up and only 'China Factor' will bring it down. We need to eliminate the requirement of Batteries (through Grid connectivity, Net metering etc.) to bring costs down. First step is to be from the state and central governments. They have to promulgate viable policies aiming to speed up solarisation. Once this is done everything will move smoothly gaining momentum as time pass on. Research has found that solar isolation is a kind of contagion. The neighbor will be enthused to install solar plant. Regarding skilled labour force the governments are to plan in advance by creating new courses in ITCs. Governments should realize that future of power sector lies on solar plants. How can the nation rely on depleting resources? Solar is abundant, predictable, perpetual and now it is cheaper. What else we need to go for solar? My feeling is that in India, the age of innovation has begun. I am hearing directly from multiple start ups with Best, New and Emerging prototype technology / inventors in India and worldwide. Isn't Nasscom, the high-tech association that holds the newest crop of Indian innovators? I focus on these true innovators because they are intent on taking India out of poverty. India is now spawning large numbers of innovators concentrating on solving poor-world problems and cloud-based technology tools and open-source platforms that are enabling Indian innovators to do this with little capital. I know of several genius's with some of the most absolutely fascinating, new, emerging and best technologies I have seen to date and all (with green and renewable policy standards of operation). Anyways, please read the paper and form your own opinions, but my take on this paper is that it sets the minimum benefit of module level MPPT, and ANY additional variables will increase the benefit. Soiling, variable aging, and variable irradiance (shading) are very real considerations for any site which can have very significant effects on harvest. Additionally, without module level monitoring, there is no way to determine whether or not a modules are even meeting their standard deviation specifications. Soiling and aging effects are especially hard to model, and the paper references establishes some techniques to quantify the potential benefit of microinverters under these conditions through measurements at an actual test site. Although the study did not use any global MPPT inverters, nonmonotoic conditions which "fooled" the inverter were excluded from the results. First of all, the test procedure DID imitate a "Global MPPT" algorithm. All data points where the Fronius inverter was off-MPPT (i.e. when it was causing the "Christmas light effect") were excluded from the results (even though it's arguable that these are valid data points). NREL noted this in "Inverter MPPT Error" section of the study, stating that there would be another 2% energy harvest gain for the microinverter system in the moderate shade scenario, if they had included these MPPT errors. (1) The string-level MPPT will still "turn-off" any shaded sections of the array (using a bypass diode), even though there is a lot of diffuse light still reaching the shaded section. The result is that the string-level MPPT is ALWAYS exacerbating the impact of shade. (2) The "Global MPPT" is still limited to the input voltage range of the inverter, so the term "Global" is really just marketing spin. And, this has a further consequence that the effectiveness of "Global MPPT" algorithms will be more limited in situations where the string is short or the weather is hot. To summarize, if you rely on bypass diodes and "Global MPPT" algorithms to address mismatch effects, you will ALWAYS be at a disadvantage to micro inverters. It's only a question of how much. Addressing "point d", CEC efficiency testing is conducted by an independent test laboratory, according to a protocol established by the Sandia National Laboratory. Here is a link to a webpage where you can download the test standard. Addressing "point a" (and part of "point c"), I believe the test protocol has specific requirements around power factor and harmonic distortion. Please refer to the link above for that info. 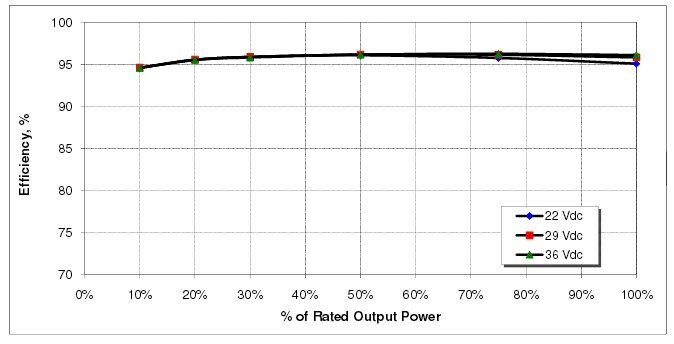 Addressing "point b", the test of power conversion efficiency does not include MPPT efficiency, though I agree that this is equally important. In fact, this is why Enphase publishes MPPT efficiency on its product datasheet. Addressing "point c", the M215's efficiency remains very high at low power levels thanks to a patented technology called "burst-mode". This technology enables Enphase Micro inverters to cycle on and off and to interleave power stages at very high speeds (on the scale of micro-seconds), in order to optimize the power conversion efficiency all the way down to a fraction of a watt. And, your reaction to these efficiency numbers shows just how innovative and unique burst-mode technology is-- it's something that doesn't exist in any other inverter (or microinverter), and is one of the (many) things that makes Enphase the efficiency leader in micro inverters. Addressing "point e", I'm not sure where your temperature information came from. We have operating temperature information published on the M215 product datasheet.